Know what has been crashing your windows PC with whocrashed:- Does your system shuts down or shows a blue screen all of a sudden ? 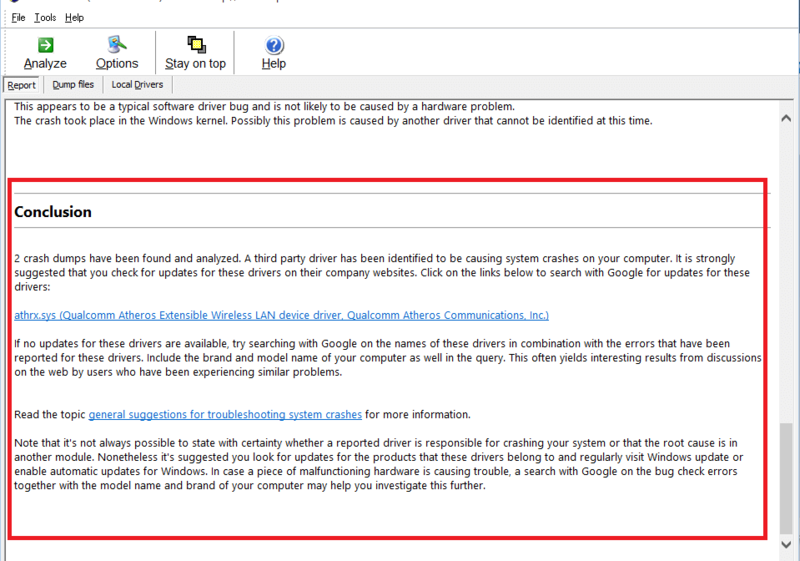 :- It would be great if you can check what has been crashing your windows down. When a system running to crash is handled efficiently the performance will be improved for sure. 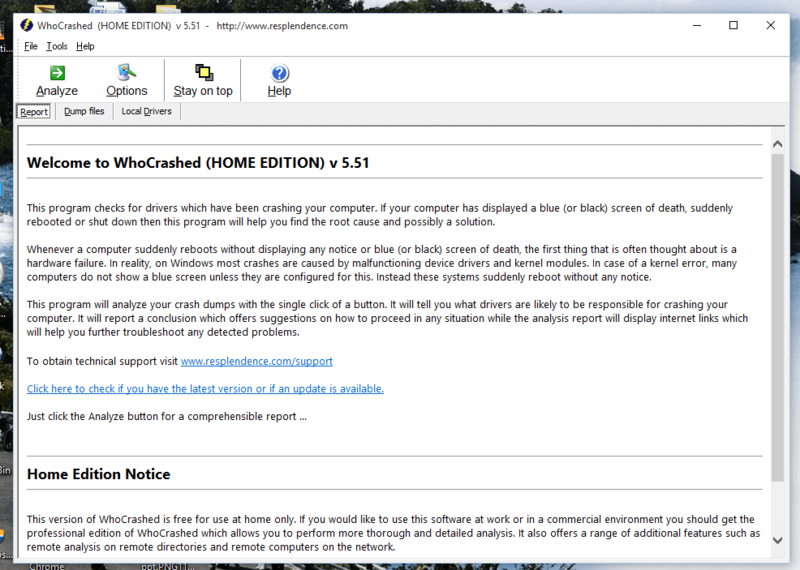 You can check the reason behind the crash using a free tool named ‘WhoCrashed‘ . 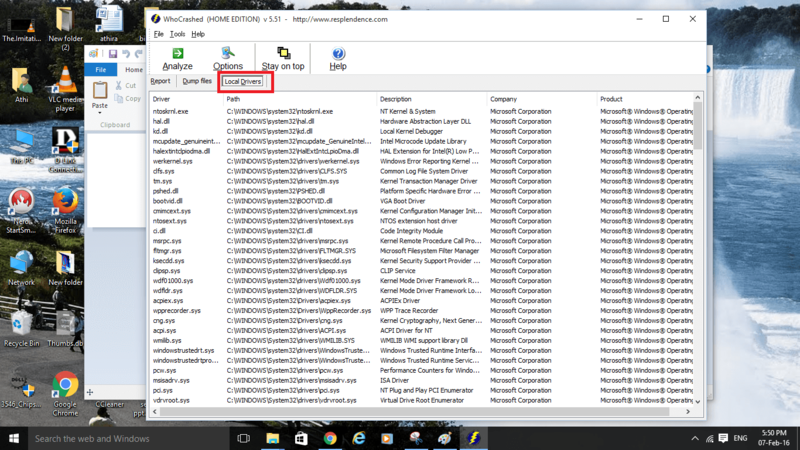 As the name indicate the tool is nothing but a life saver of our PC. 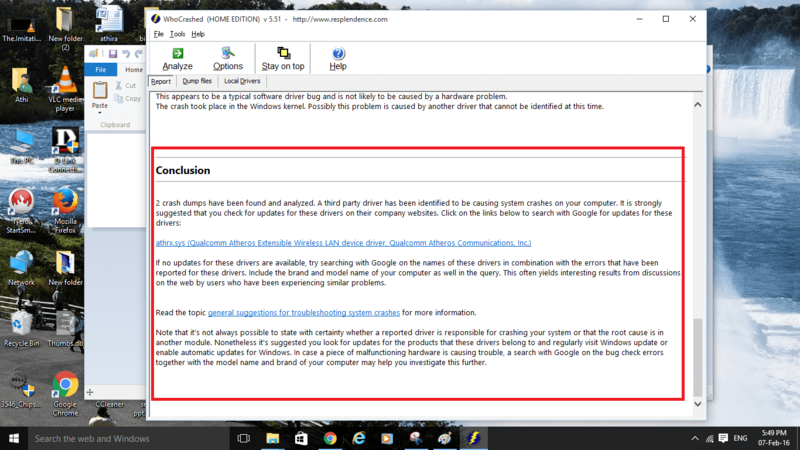 It tells you due to what all reasons did your system crash ,when did it happen ,why did it happen etc. Finding the root cause helps us eliminate the inevitable system crash. 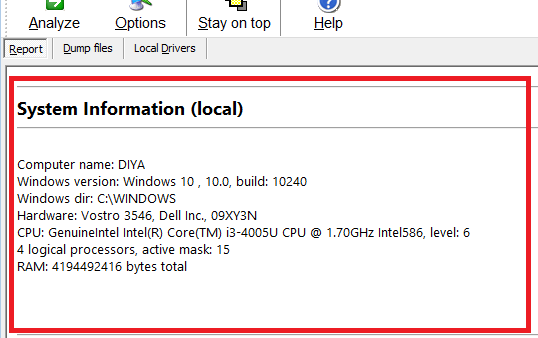 To have a detailed analysis of your system you need not to be a computer geek, you just need to go through the report generated using ‘WhoCrashed’. What you want to do is simple. 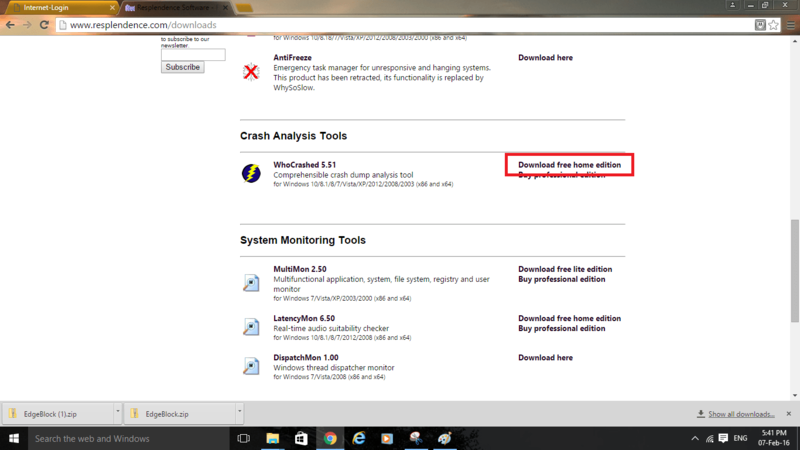 Download,install and run ‘WhoCrashed’ in your PC. 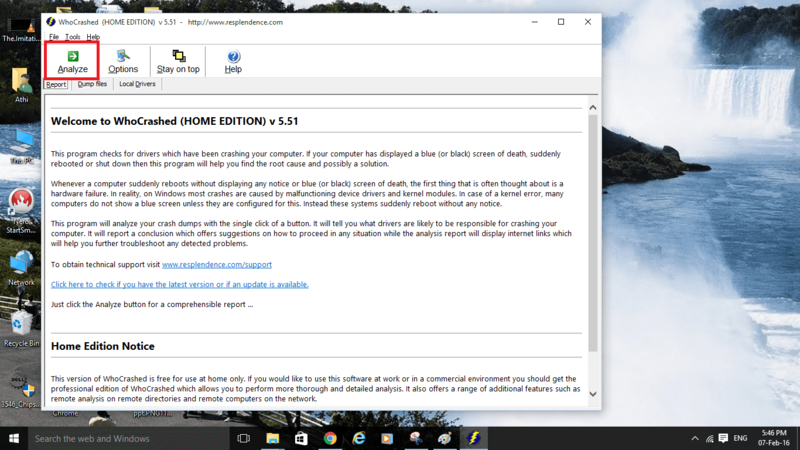 Select ‘Download free home edition’. Then the setup file named ‘whocrashedSetup.exe’ will be automatically downloaded. Run the file and install the tool in your PC. When your installation is complete, you can perform the first analysis. 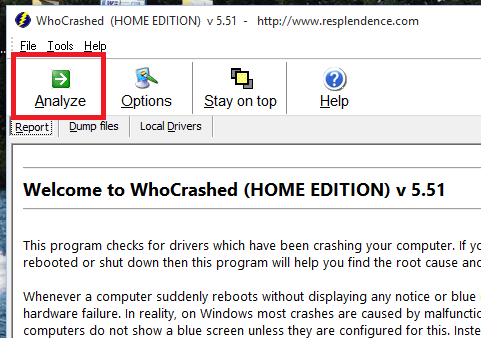 When you open WhoCrashed the following window will show up. 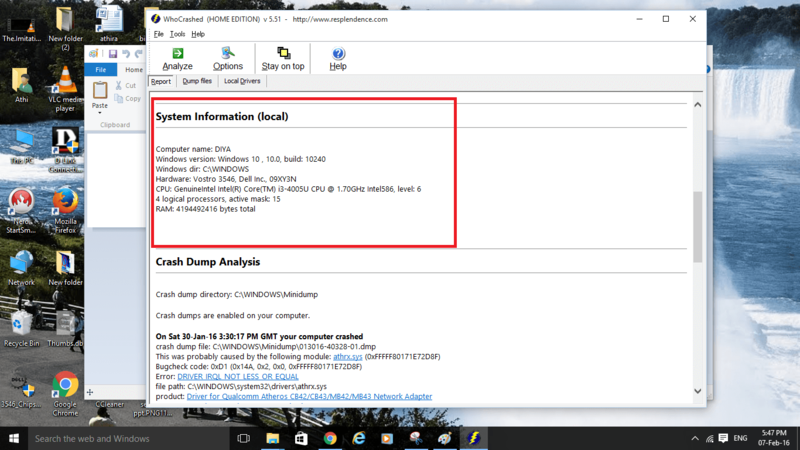 i.Inorder to analyse your PC, you want to choose the ‘Analyze’ option from the toolbar. ii. 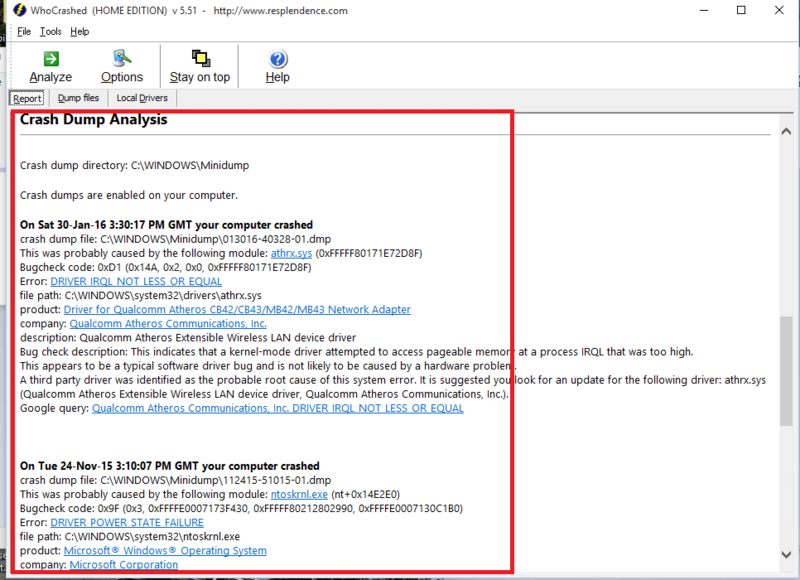 WhoCrashed then analyses the PC and the report is prepared.Scroll down to see the report. Report contains system information, Crash dump analysis and conclusion. iii. Once analysis is performed. 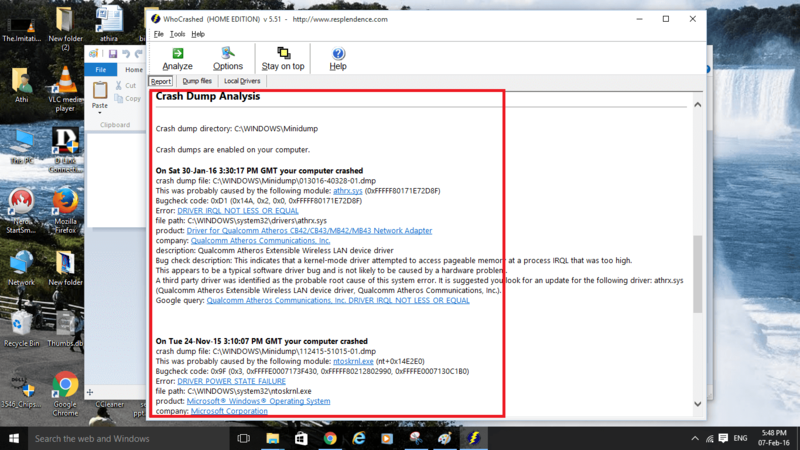 Dump file details can be obtained from the tab ‘dump files’. then dump files details will be dislayed. iv. Similarly details of local drivers are available at the tab named ‘Local Drivers’. iv. 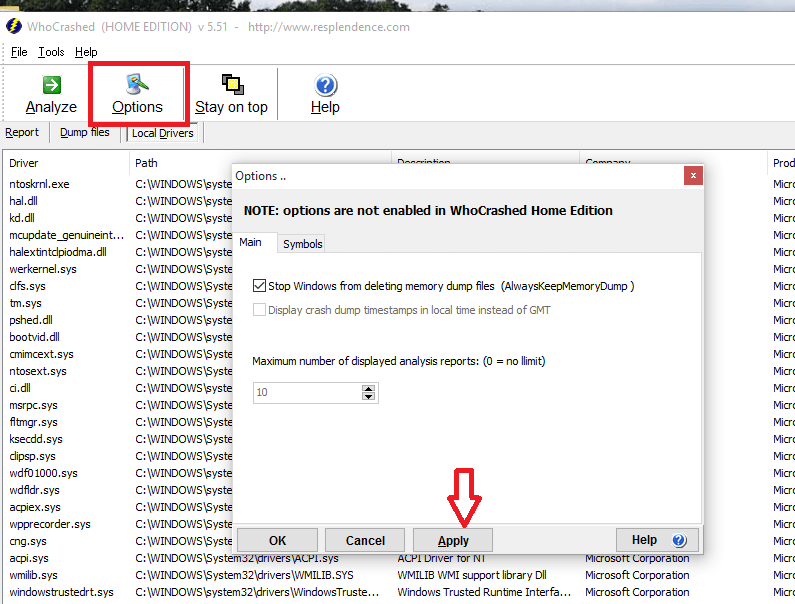 By clicking on the ‘Options’ in the toolbar, you can edit various options such as whether to keep the memory dump,maximum number of analysis reports to be displayed etc. click on ‘Apply’ to make changes. By going through the report carefully we can fix the reasons behind the crash. Counter measures can be taken as suggested by the conclusion in the report. Keep analysing your system and keep it safe.Don’t forget to act if you find some crashes.